Lake Murray is one of South Carolina's largest freshwater lakes and offers an aquatic habitat for nonvenomous and venomous snake species. Forests and grasslands surround this body of water, which provides nesting sites for aquatic and non-aquatic snakes. Most snakes found near Lake Murray are not venomous, but some may be mistaken for venomous species such as the cottonmouth or copperhead. Many nonvenomous snakes will still bite to defend themselves. Colubridae, or colubrids, are a family of snakes that make up the majority of snakes found near Lake Murray. These snakes are not venomous. Most colubrids lay eggs for reproduction. Colubrids are semi-aquatic, meaning they spend equal time on land and in the water. Among South Carolina's colubrids are kingsnakes, a species of snakes known for preying on other snakes, including venomous species. Lake Murray's kingsnakes are the eastern kingsnake, scarlet kingsnake and eastern milk snake. Other colubrids near Lake Murray are the southern black racer, scarlet snake, eastern coachwhip, rough green snake and eastern corn snake. The Natricinae subfamily of snakes belongs to the Colubridae family. In South Carolina, most Natricinae snakes are nonvenomous water snakes and garters snakes. Snakes in this subfamily give birth to live young, rather than laying eggs. Lake Murray is a natural habitat for South Carolina's water snakes, which belong to the Nerodia genus. Some Nerodia snakes near Lake Murray are the banded, redbelly and brown water snakes. The eastern ribbon and eastern garter snakes are common garter snakes found near Lake Murray. Another Colubrid subfamily is Dipsadinae, a group of rear-fanged snakes. The fangs of these snakes are near the rear of their mouths. Rear-fanged snakes have a small amount of venom in their fangs, but not enough to cause serious damage to human beings. The only Dipsadinae snakes near Lake Murray are southern ringnecks and eastern worms. The southern ringneck snake receives its name from the small ring encircling the snake's neck. Eastern worm snakes are slender and have an appearance similar to an earthworm. South Carolina's pit vipers are in the Crotalidae family of snakes. All pit vipers are venomous and have enough venom to cause harm to humans. These snakes receive their name from their facial pits, which have heat sensors for finding warm-blooded prey at night. Carolina pygmies and canebrakes are two Crotalidae rattlesnakes found near Lake Murray. 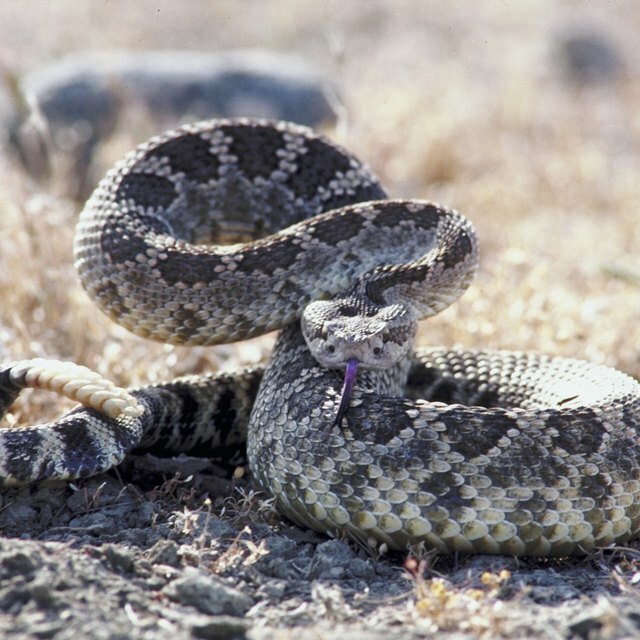 Rattlesnakes have rattles on their tails, which they use to ward off predators. 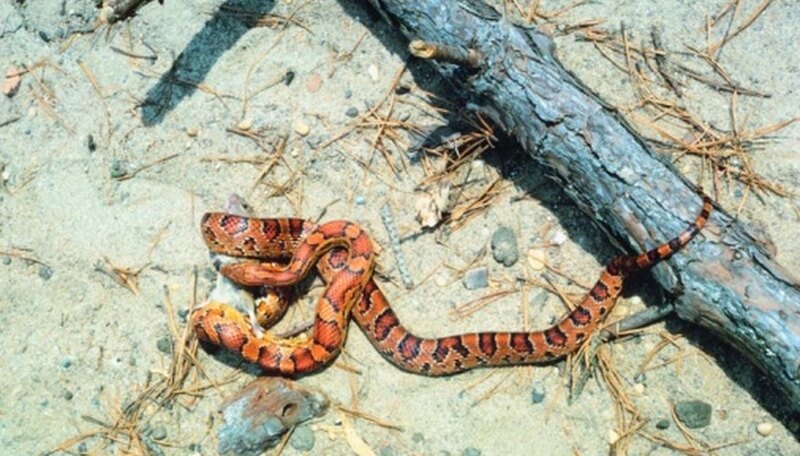 Two other Crotalidae snakes found near Lake Murray are northern copperheads and eastern cottonmouths. Cottonmouths have white flesh inside their mouth; these snakes will flash off their white mouths as a warning to attackers before they strike. Savannah River Ecology Laboratory; Eastern Kingsnake; Kimberly Andrews, et al. Davis, Skip. "Common Snakes Around Lake Murray, South Carolina." Sciencing, https://sciencing.com/common-lake-murray-south-carolina-8693601.html. 25 April 2017.